Fifty years ago today, Sandy Koufax — perhaps the greatest pitcher of his generation — sat in the St. Paul Hotel while his team, the Los Angeles Dodgers, played game one of the World Series against the Minnesota Twins in Bloomington. It was Yom Kippur, the Day of Atonement, the holiest day on the Jewish calendar, and Sandy Koufax is Jewish. Koufax is 79 now and has refused all interviews on the anniversary of his observance. 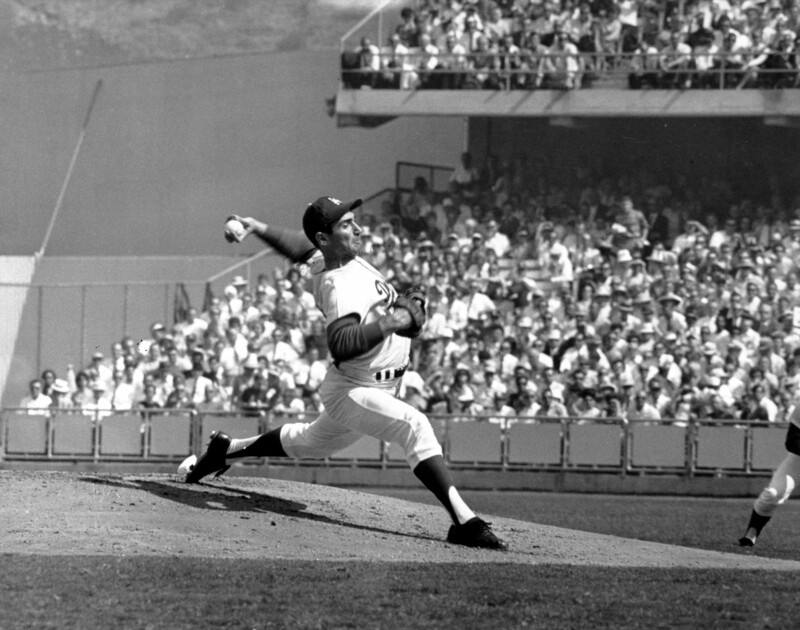 SI says Koufax’s observance has created legend and myth in St. Paul’s Jewish community. The morning of Yom Kippur, the St. Paul Pioneer Press reported that Koufax “will attend services today.” The rumor spread that he would do so at Temple of Aaron, a conservative synagogue in St. Paul, which was the closest one to the Dodgers’ hotel. Yet Jeremy Fine, associate rabbi at Temple of Aaron, admits that Rabbi Raskas may have fabricated the story to stir up interest in the synagogue or to inspire Jews about their religion. “I wouldn’t put it past him to have made it up,” Rabbi Fine says. The Twins won the first two games in Bloomington, lost the next three, won game six to force a deciding seventh game, in which Koufax threw a complete-game, three-hit shutout. He was named the World Series MVP.